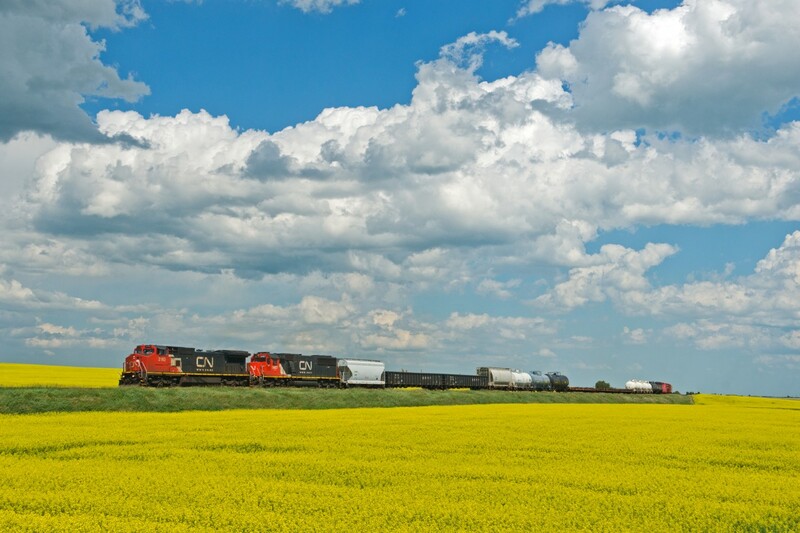 Railpictures.ca - Matt Watson Photo: CN 317 makes it’s way west through the “Land of Living Skies” and canola fields with a pair of second hand units leading the way. | Railpictures.ca – Canadian Railway Photography – photographie ferroviaire Canadienne. Caption: CN 317 makes it's way west through the "Land of Living Skies" and canola fields with a pair of second hand units leading the way. Terrific scene, Matt. Love those wide open spaces and endless sky. Nicely done.